In the August 1946 issue of the French cinema studies journal, L’écran française, French critic Nino Frank used the term “film noir” to describe a new generation of American crime films only recently allowed into France after the war. This new wave of films, which included The Maltese Falcon (1941), The Glass Key (1942), and Double Indemnity (1944), featured claustrophobic urban settings, morally conflicted heroes, and ruthless but attractive women motivated by expediency and greed. A product of their time, these films expressed the anxiety and disillusionment of those who had lived through both the Great Depression and the Second World War. Frank’s use of the term film noir fits the timeline of Vancouver Noir perfectly, occurring at almost the exact median point of the thirty-year period covered. John Belshaw and Diane Purvey examine the city during the mid-twentieth century using the cinematic conventions pioneered in film noir. Together, they shine a light into the dark corners of an all-but-forgotten era, illuminating Vancouver’s seedy nightlife, urban strife, street violence, cynical political manoeuvring, and creeping paranoia about outsiders. 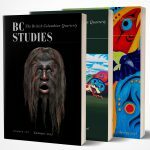 Vancouver Noir is unique among Vancouver history books in its detailed coverage of the city mid-century: no other book covers this period so comprehensively. Painting this under-reported period in Vancouver history with a “noir” brushstroke has its merits. The stark black and white news and police photographs of the period evoke a city that used tawdry surface glitz to hide its dangers and decay. Descriptions of the pessimistic mood of the Depression and War Years are also spot on. However, Purvey and Belshaw’s book falters somewhat when using noir elements (a hardboiled, detective narrative) to describe the more complex post-war climate in the city. By the late 1950s, the classic film noir era was drawing to a close with films like Touch of Evil (1958), Odds Against Tomorrow (1959), and Blast of Silence (1961), with their shades-of-grey modernist subtext. In Vancouver, as in many other North American cities, people were leaving the mean streets downtown to look for homes in sparsely settled neighbourhoods in the suburbs. The landscape downtown, meanwhile, was being transformed into a form more familiar to us today with the building of new office towers, high-rise apartments, and underground malls. The dynamics between subcultures such as youth, new immigrant groups, and settled ethnic communities were also changing. People were settling down as the collective psychological trauma that informed the noir period subsided. That is not to say that the old fears do not still haunt us: the mysterious other stalking us in the night; authorities who punish criminals with one hand, then pocket the proceeds of the crime with the other. Vancouver Noir: 1930-1960 reassures us, somewhat uneasily, that we are not the first to feel these fears, nor will we be the last.